OHSWEKEN, Ontario — July 31, 2012 — Tony Stewart, Ohsweken Speedway and Victory Lane are beginning to become synonymous. The NASCAR driver led all 30 laps on Tuesday to claim his third career World of Outlaws Sprint Car Series victory and his second in a row at the 3/8-mile oval. Counting Monday’s win in Corr/Pak Sprints action, he has ended his last three events at Ohsweken Speedway a top the podium. “Last year we won the thing running through the middle and tonight we were really good right on the top edge of the race track,” Stewart said. “It wasn’t really anything consistent between the nights. It’s just a neat, little race track. It’s a lot of fun. You can race all over the place. 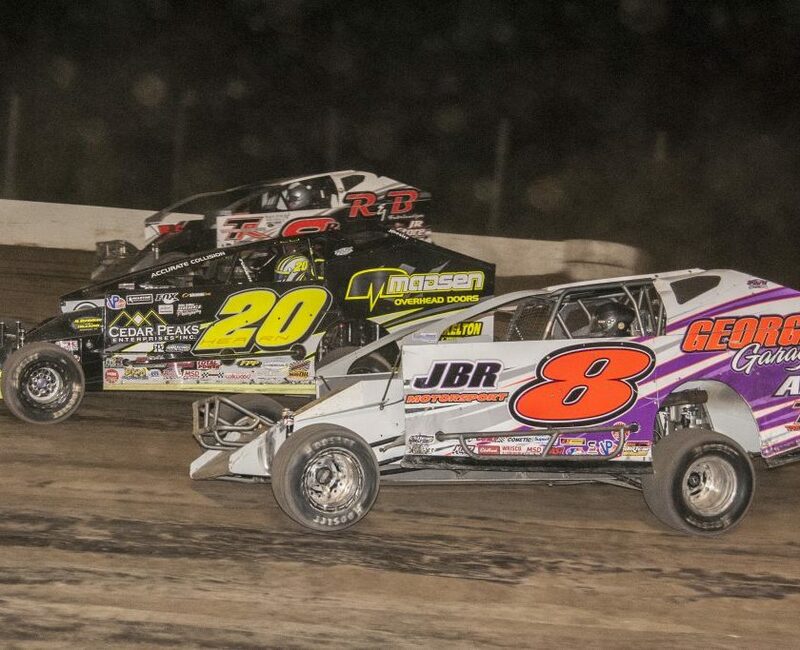 A year after picking up his first-ever Outlaws win, Stewart dominated in the return to Ohsweken Speedway in front of the largest crowd in the track’s history. He maneuvered from third to first in the opening turn of the dash and held off World of Outlaws championship standings leader Craig Dollansky for his first dash victory of the season. That earned Stewart the pole for the feature on a track that had started to slick off early in the heat races. The main event was caution free and featured a variety of close calls throughout traffic for Stewart and Dollansky, who stayed within several car lengths the entire race. The duo entered traffic on lap nine, which forced both to move around the track and leave the preferred top groove. Midway through the feature Stewart had to check up as a car slid in front of him exiting turn four, which allowed Dollansky to close to the rear bumper. However, Stewart maintained the position and later held off a late rally from Dollansky, who closed to within two car lengths on the final lap. Had there been a late caution, Tony Stewart Racing driver Steve Kinser could have played a spoiler role. Kinser charged from 12th to sixth in the first 12 laps and cracked the top five at the midpoint of the feature. As Kraig Kinser worked past Donny Schatz for third place with five laps remaining, Steve Kinser split the duo and eventually gained third place on the ensuing lap. He finished third to earn a podium for the second consecutive race after starting in the middle of the field. “We’re making recoveries, but that’s not the way to be doing it,” Kinser said. Kraig Kinser, who set quick time in qualifying, placed fourth and Schatz was fifth. Cody Darrah ended sixth, Chad Kemenah seventh, Sammy Swindell eighth, Kerry Madsen ninth and Michael Parent charged from last – 24th – to round out the top 10 and earn the KSE Hard Charger Award. Darrah, Schatz and Swindell each won a heat race, and Jamie Collard claimed the Last Chance Showdown. NOTES – Kraig Kinser established quick time in qualifying for the fifth race this season. … Cody Darrah claimed his sixth heat race win, Donny Schatz his ninth, Sammy Swindell his series-leading 16th and Jessica Zemken her second of the season. … Jamie Collard became the 31st different Last Chance Showdown winner. WINNERS – Sammy Swindell – 8 (Autodrome Granby on July 27, Eldora Speedway on July 14, Lakeside Speedway on June 30, Red River Valley Speedway on June 16, Eldora Speedway on May 5, Knoxville Raceway on April 28, Missouri State Fair Speedway on April 20 and Merced Speedway on March 30); Craig Dollansky – 6 (Lebanon Valley Speedway on July 22, Lernerville Speedway on July 17, I-96 Speedway on June 2, Hagerstown Speedway on May 20, Tri-State Speedway on April 21 and Volusia Speedway Park on Feb. 19); Joey Saldana – 5 (Autodrome Drummond on July 28, Eldora Speedway on July 13, The Dirt Track at Charlotte on May 25, Paducah International Raceway on April 13 and Perris Auto Speedway on March 10); Kraig Kinser – 4 (Beaver Dam Raceway on July 7, Dodge City Raceway Park on June 23, River Cities Speedway on June 15 and Kokomo Speedway on June 5); Donny Schatz – 4 (Cornwall Motor Speedway on July 29, Farmer City Raceway on April 25, Silver Dollar Speedway on March 23 and Volusia Speedway Park on Feb. 19); Tim Kaeding – 3 (Cedar Lake Speedway on July 6, Thunderbowl Raceway on March 16 and The Dirt Track at Las Vegas Motor Speedway on March 8); Steve Kinser – 3 (Dodge City Raceway Park on June 22, Orange County Fair Speedway on May 19 and Williams Grove Speedway on May 12); Kerry Madsen – 3 (Limaland Motorsports Park on July 11, Belleville High Banks on June 29 and Knoxville Raceway on June 9); Chad Kemenah – 2 (Lawrenceburg Speedway on May 28 and Eldora Speedway on May 4); Tony Stewart – 2 (Ohsweken Speedway on July 31 and Lernerville Speedway on July 17); Cody Darrah – 1 (Williams Grove Speedway on July 21); Danny Dietrich – 1 (Lincoln Speedway on May 10); Mark Dobmeier – 1 (Huset’s Speedway on July 3); Danny Lasoski – 1 (Volusia Speedway Park on Feb. 18); Paul McMahan – 1 (Rolling Wheels Raceway Park on May 16); Fred Rahmer – 1 (Williams Grove Speedway on May 11) and Brad Sweet – 1 (Clay County Fairgrounds on June 8). TIME TRIALS – Kraig Kinser was the fastest qualifier around the 3/8-mile oval with a time of 13.511 seconds to earn five championship points. Also earning points were Tony Stewart (4 points), Dustin Daggett (3), Steve Kinser (2) and Lucas Wolfe (1). WE’RE ONLINE – Make sure to check out WorldofOutlaws.com for the latest news and results, plus exclusive driver interviews, video and pictures. Also listen to every event live at DIRTVision.com. 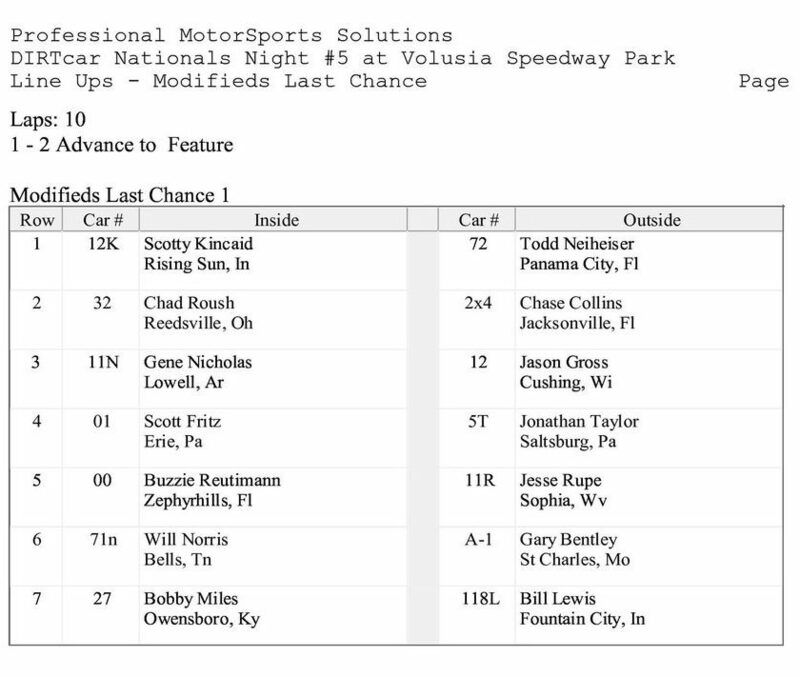 A-Main – (30 Laps) – 1. 14-Tony Stewart  [$10,000]; 2. 7-Craig Dollansky  [$5,500]; 3. 11-Steve Kinser  [$3,200]; 4. 11K-Kraig Kinser  [$2,800]; 5. 15-Donny Schatz  [$2,500]; 6. 4-Cody Darrah  [$2,300]; 7. 63-Chad Kemenah  [$2,200]; 8. 1-Sammy Swindell  [$2,100]; 9. 29-Kerry Madsen  [$2,050]; 10. 25P-Michael Parent  [$2,000]; 11. 5W-Lucas Wolfe  [$1,500]; 12. 1Z-Jessica Zemken  [$1,200]; 13. 27H-Tom Huppenen  [$1,100]; 14. 2M-Dustin Daggett  [$1,050]; 15. 80-Chris Steele  [$1,000]; 16. 7X-Jamie Collard  [$900]; 17. 71-Travis Cunningham  [$800]; 18. 3R-Shane Ross  [$800]; 19. 9-Joey Saldana  [$800]; 20. 55X-James McFadden  [$800]; 21. O-Glenn Styres  [$800]; 22. 5-Keith Dempster  [$800]; 23. 6-Bill Rose  [$800]; 24. O7X-Dain Naida  [$800]. Lap Leaders: Tony Stewart 1-30. KSE Hard Charger Award: 25P-Michael Parent [+14]. Qualifying – 1. 11K-Kraig Kinser, 13.511; 2. 14-Tony Stewart, 13.617; 3. 2M-Dustin Daggett, 13.662; 4. 11-Steve Kinser, 13.798; 5. 5W-Lucas Wolfe, 13.800; 6. 55X-James McFadden, 13.822; 7. 29-Kerry Madsen, 13.900; 8. 7-Craig Dollansky, 14.083; 9. 6-Bill Rose, 14.092; 10. 15-Donny Schatz, 14.117; 11. 63-Chad Kemenah, 14.179; 12. 27H-Tom Huppenen, 14.232; 13. 4-Cody Darrah, 14.247; 14. 9-Joey Saldana, 14.294; 15. 1-Sammy Swindell, 14.326; 16. 1Z-Jessica Zemken, 14.373; 17. O-Glenn Styres, 14.457; 18. 7X-Jamie Collard, 14.565; 19. 33K-Kyle Patrick, 14.597; 20. 3R-Shane Ross, 14.661; 21. 71-Travis Cunningham, 14.686; 22. 5-Keith Dempster, 14.761; 23. 10-Mitch Brown, 14.798; 24. O7X-Dain Naida, 14.837; 25. O1-Mikey Kruchka, 14.848; 26. 80-Chris Steele, 14.869; 27. 25P-Michael Parent, 15.022; 28. 5D-Dave Dykstra, 15.039; 29. 11T-Jamie Turner, 15.070; 30. 9NZ-Havard Daniels, 15.510; 31. 30G-Stevin Goldner, 15.680; 32. 67-Chris Durand, 15.802; 33. 94-Stan Zanchin, 15.826. Heat 1 – (8 Laps – Top 5 finishers transfer to the A-feature) – 1. 4-Cody Darrah ; 2. 6-Bill Rose ; 3. 5W-Lucas Wolfe ; 4. 11K-Kraig Kinser ; 5. O-Glenn Styres ; 6. 71-Travis Cunningham ; 7. 11T-Jamie Turner ; 8. O1-Mikey Kruchka ; 9. 94-Stan Zanchin . Heat 2 – (8 Laps – Top 5 finishers transfer to the A-feature) – 1. 15-Donny Schatz ; 2. 9-Joey Saldana ; 3. 55X-James McFadden ; 4. 14-Tony Stewart ; 5. 80-Chris Steele ; 6. 7X-Jamie Collard ; 7. 5-Keith Dempster ; 8. 9NZ-Havard Daniels . Heat 3 – (8 Laps – Top 5 finishers transfer to the A-feature) – 1. 1-Sammy Swindell ; 2. 63-Chad Kemenah ; 3. 29-Kerry Madsen ; 4. 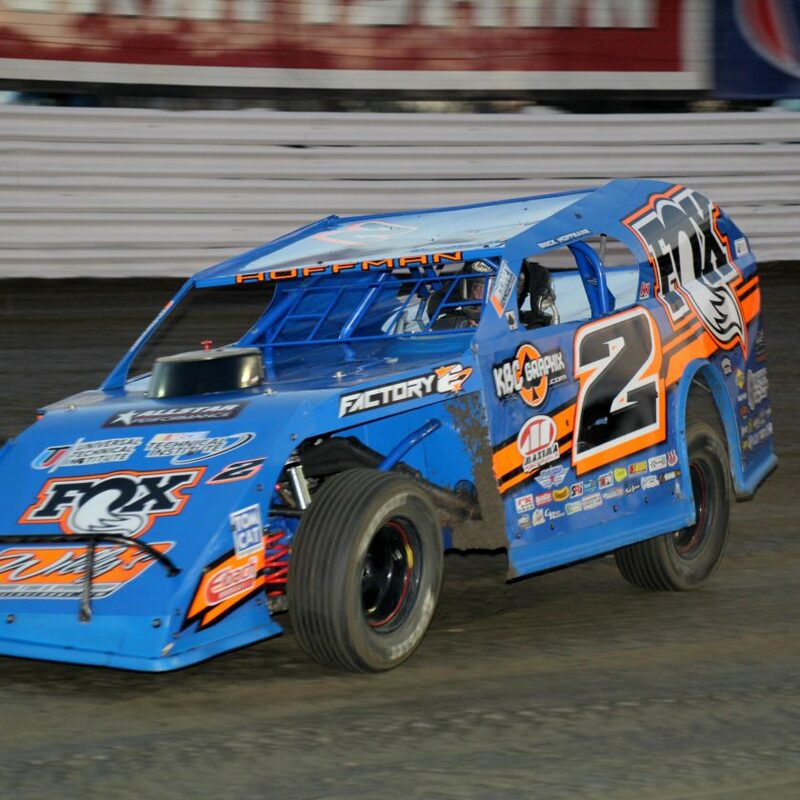 2M-Dustin Daggett ; 5. 25P-Michael Parent ; 6. 10-Mitch Brown ; 7. 33K-Kyle Patrick ; 8. 30G-Stevin Goldner . Heat 4 – (8 Laps – Top 5 finishers transfer to the A-feature) – 1. 1Z-Jessica Zemken ; 2. 7-Craig Dollansky ; 3. 11-Steve Kinser ; 4. 27H-Tom Huppenen ; 5. 3R-Shane Ross ; 6. O7X-Dain Naida ; 7. 67-Chris Durand ; 8. 5D-Dave Dykstra . Dash – (6 Laps, finishing order determined first 10 starting positions of A-feature) – 1. 14-Tony Stewart ; 2. 7-Craig Dollansky ; 3. 15-Donny Schatz ; 4. 11K-Kraig Kinser ; 5. 4-Cody Darrah ; 6. 6-Bill Rose ; 7. 63-Chad Kemenah ; 8. 1-Sammy Swindell ; 9. 1Z-Jessica Zemken ; 10. 9-Joey Saldana . B-Main – (12 Laps – Top 4 finishers transfer to the A-feature) – 1. 7X-Jamie Collard  [-]; 2. 71-Travis Cunningham  [-]; 3. 5-Keith Dempster  [-]; 4. O7X-Dain Naida  [-]; 5. 10-Mitch Brown  [$200]; 6. 11T-Jamie Turner  [$180]; 7. 33K-Kyle Patrick  [$175]; 8. 9NZ-Havard Daniels  [$160]; 9. 94-Stan Zanchin  [$150]; 10. O1-Mikey Kruchka  [$150]; 11. 5D-Dave Dykstra  [$150]; 12. 30G-Stevin Goldner  [$150]; 13. 67-Chris Durand  [$150].